Reduce your annual cleaning and flooring budget by channeling higher volumes of business through one vendor. This allows us to keep our prices at our most competitive levels and saves you money. Your carpet outlay will go down because we can save carpets that others can’t. Whether it’s bleach spots, Kool-Aid, iron or cigarette burns, problems with seams, edgeing, or buckling, we can fix it fast and inexpensively. We give you complete inspection reports eliminating surprise repairs after you’ve refunded security deposits. And if you need support in any litigation where we performed services, we can write more detailed reports and appear as expert witnesses. Deal with one vendor instead of two or three. 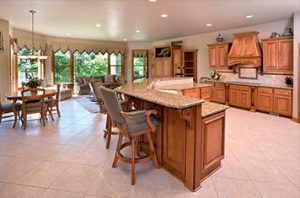 We’ll clean it, restore it (Spot Removal, Dyeing, Water Damage Restoration), or Repair it. Quit juggling so many balls. Let us make your job easier you have one less headache to manage. 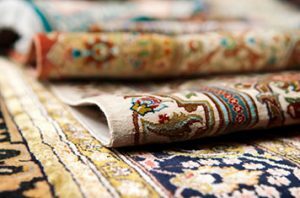 We guarantee our dyes and repairs for the life of the carpet. We guarantee our G.O.R. Service (Guaranteed Odor Removal) or your money back. And, we guarantee your complete satisfaction or your money back. Our complete line of services are available to you for immediate delivery. Our technicians are trained to offer innovative solutions to unusual problems. Same day express service is offered for when those unexpected problems arise and of course, 24 hour, 7 Day, Emergency Service for when you have tenants with water damage situations that threaten destruction to contents and structure as well as rental income. You’ll enjoy our courteous, uniformed, and knowledgeable technicians that utilize our specially designed equipment and proprietary cleaning and spot removal formulations. We are also completely insured for your protection (certificates of coverage upon request).